Artists may benefit from time and wealth, but they shouldn't require them. In fact, lack of resources can be a blessing, because it can make you try harder. 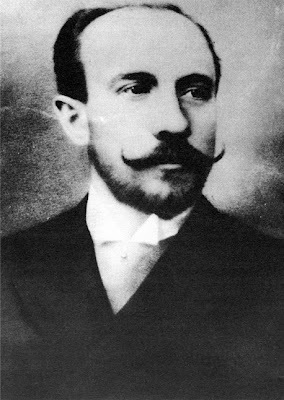 George Méliès hardly lacked resources, at least in 1902. The Frenchman owned and directed the Robert-Houdin theatre in Paris for more than 30 years; he was the son of a shoe manufacturer; a landowner; a gifted magician, actor and caricaturist, with a hefty inheritance that left him free to perfect his skills. He was lucky, too. Méliès shared building space with Antoine Lumière, father to the Lumière brothers, Auguste and Louis, who introduced France to projected cinema in 1895. The Lumières saw the movie camera as a tool for science. Méliès, the showman, saw something else. By 1897, he was running the first dedicated movie studio in the world, producing popular films to be screened in fairground tents. These films, like the studio itself, were state-of-the-art. Méliès had it all. Yet nowadays, Méliès’ films seem striking for what they lack. They have no sound, no close-ups and no camera movement. Few last more than fifteen minutes. Since they were meant to be narrated live, they don’t even have intertitles. 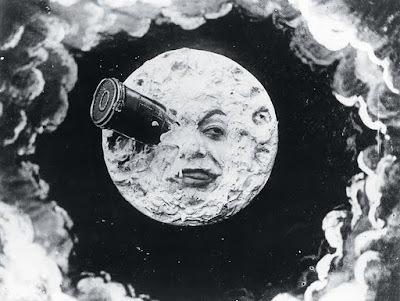 Méliès relied on almost none of the technology, techniques or conventions that would be old hat even fifteen years later. But he achieved an almost perfect little film. You’ll like it. A Trip to the Moon (La voyage dans la lune) follows the adventures of six scientists, all members of France’s renowned Institute of Incoherent Astronomy. The scientists commission the building of a gigantic cannon, which will blast them toward the moon in a hollow shell. The launch is successful; upon arrival, the scientists battle the moon’s goblinoid inhabitants, are captured, and then escape the clutches of the King of the Moon. They retreat to their shell, which tips off a cliff and falls back to Earth, splashing down in the Atlantic Ocean. The heroes are towed to shore by steamship and honoured with a parade. That’s it. You’ll eat sandwiches that require more investment of time than A Trip to the Moon will. However, you’ll see few full-length films that better reward a second look, or a third, or a fourth. Were it no good at all, A Trip to the Moon would still be a valuable lesson in filmmaking. For Méliès, a theatre man, the camera simply replaced the audience. He positioned it far to one end of his studio, while the rest of the space was devoted to the floor-level stage and its various props. Performances took place opposite the camera, facing the daylight. (At the time, electric light was too weak for filmmaking, meaning Méliès could not work at night. His studio functioned like a greenhouse). Méliès dressed his actors and dancers in outrageous costumes and choreographed them precisely to make the most of his slim running times. He also painted his own tableaus (backgrounds), which were used much as they would be in a stage production. The studio was outfitted with enough pulleys, wires, and trapdoors to film almost any kind of scene without budging the camera. Méliès could’ve moved his camera; other directors were already doing it. However, look at what he produces by leaving it still: Every one of A Trip to the Moon’s brief scenes is teeming with activity. Robed, pointy-hatted astronomers jostle with tarty rocket-girls, cannon-building workmen and acrobatic denizens of the moon. The actors shove each other in and out of frame, as though competing to show you the best thing in the world. None wait for the lens to find them. Everyone rushes, everyone is silly, and they’re all having fun. Like all great films, A Trip to the Moon knows what it’s trying to do and supports it ably. Méliès’ tableaus squash a double-load of detail into every scene, losing nothing. They are cartoonish, distorting perspective for the sake of whimsy, rather than to trick the eye. When the narrator describes the spacecraft as built ‘above the rooftops of the city,’ we see this literally—actors stand on a row of painted rooftops too small to be believably in the foreground. Nobody cares. The characters in A Trip to the Moon have no personalities, but they’re one with this craziness surrounding them. Standing on a tower, straining to watch the giant cannon being cast in the ‘distance,’ one scientist produces a telescope, clearly two-dimensional, designed in the same cartoon style as the set he is standing on. It works fine, of course; just as the rooftops hold when he stands on them. Check it out in this clip, at about 3:40. As the actors become the sets, so the sets join the cast. 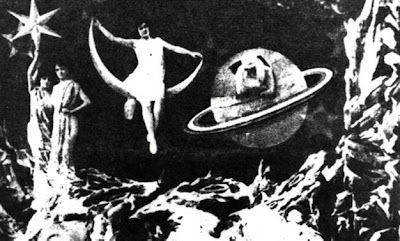 On the moon, Méliès shows the scientists slumbering beneath a sky filled with stars, planets and (oddly enough) a crescent moon, all occupied by actors in Grecian garb. Even better is the moon launch that brought them there. In this famous scene, we see the moon grow as the shell approaches it; suddenly it has a human face, then—wham!—the shell pierces its eye. A Trip to the Moon was a critical success for George Méliès, and thanks to his creativity and technical excellence, it still entertains. Its duration doesn’t hurt, either—even a great movie cannot hold attention for long without deviating from medium shots. How appropriate that this film’s themes are discovery and endeavour. With one foot still planted in the theatrical world, Méliès was himself challenging a new frontier. A Trip to the Moon is one of cinema’s first great artworks, filmed before cinema had any masters. To see it today is to wonder how Méliès produced so much from so little. It is also to remember the potential of limited resources, once great talent is brought to bear upon them. yes, one of the greatest works of Melies :) Personally I appreciate all his vigorous attempts to make the silent-era one of the greatest periods in the history of cinema. "Everyone rushes, everyone is silly, and they’re all having fun." That's what makes these movies unique; the actors don't have to make far-fetched actions just because of a scenario. Moreover, they don't have to behave like the gods of beauty (which makes me disrespect all the nowadays-actors). Talent is what Melies had, and I love the simplicity with which he showed this. He'll be one of the greatest directors ever.